710 is celebrating SIU Faculty and Staff Appreciation Day just in time for Homecoming. — Show your SIU Faculty / Staff ID and get 20 % off any SIU Imprinted Item in the store, including Clearance priced Items. Plus a free gift for anybody who stops by and introduces themselves or signs up for our e-mail notification. We have been getting in some more SIU alumni apparel thanks to listening to customer requests at both remote and local events and locations. 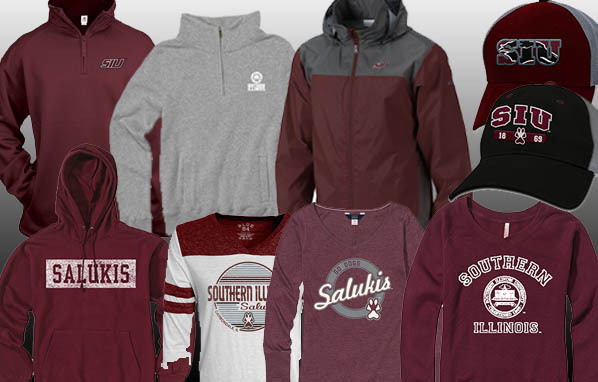 Remember, 710 now accepts Alumni Association discounts online so Saluki Alumni across the US can take advantage. Homecoming Court and Elections and much more! !